Things Future MBA Students Must Consider Before Applying can be quite essential in the career life of the student. If you’ve decided to further your career after your first degree, of course it is an amazing decision. Getting a higher education is indeed commendable. There’re pertinent questions you should ask yourself that is, do you understand what your intending program is all about? what and why you think such study program would be of benefit to you? Students who are planning to enroll for an MBA class but are down in a state of dilemma on whether such proposed plan is worth it would have to read between the lines in this piece of article to know what they are about venturing into. 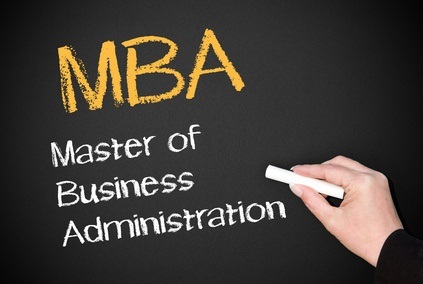 How well do you know about MBA study? Trust me a majority of prospective MBA students are less informed on this. Now the million question popping up by aspiring MBA students is Do MBAs lead to a higher degree later on? The MBA degree is designed primarily for students who are considering a career change or hoping to advance in their careers. An MBA will offer you a wealth of advantages, especially when it’s offered by a top business school with a very good reputation. Getting a higher salary after graduation, landing a top management position or even becoming your own boss are just a few of the extra advantages. MBAs are primarily for those seeking to switch careers (typically into finance or consulting roles) or for progression within an already established career. Employers report that Masters of Business Administration are people with a high level of credibility, they are extremely confident and able to influence other workers. The MBA has a high level of focus on producing future managers. The activities you’ll be involved in force you to interact with people and, in turn, grow as a person. An MBA can open up new avenues and career pathways and provide you with new skills in the workplace. Having an MBA degree, regardless of the location where you plan to build your career, your degree will be acknowledged and you will surely increase your credibility among business people. The real advantage of an MBA however, is its proven versatility; with an MBA, you can pursue many career fields, and advance to higher and better-paid jobs way faster. Next Next post: How To Position Yourself To Get A Job While Studying: Apply for One Now!